What happens when a small town in Nova Scotia, in Guysborough Municipality in the Canso area, 300 kilometers east of Halifax, is scheduled to be the site of a commercial spaceport in which a California company will invest upwards of US$225 million? Guysborough officials have given the green light to a rocket launcher project near Canso. Some are keen to see a future beyond fish and tourism; others are concerned about public safety and the environmental impact the project could have. A local school principal would like proponents to come in and talk to kids about the plan to turn a piece of coast into the country’s first commercial spaceport. 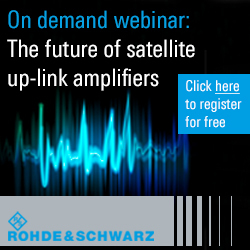 Others have reservations about a project which failed after a decade-long struggle to get off the ground in Brazil. Brazil pulled out of the venture, which was to use the Ukrainian-built Cyclone 4M rocket, in 2015. That April, SpaceNews reported the deputy chief of the Brazilian Space Agency said a government review found too many open questions about its cost and future market success. The economic challenge is compounded by the fact that the launch site is only a couple of kilometres from the tiny communities of Hazel Hill and Little Dover, founded in 1860 when a well-off doctor from Lunenburg bought a few land grants on the Canso peninsula. Little Dover is “just across the harbour from where they’ll put the rocket launch silo and it’s not a very wide harbour,” according to local historian Eldon Munroe. Halifax company Maritime Launch Services Ltd., founded by United Paradyne Corp. in Santa Maria, CA, announced earlier this year it plans to invest upwards of US$225 million to set up its commercial spaceport in Guysborough Municipality in the Canso area, 300 kilometres east of Halifax. The infrastructure component of the spaceport is budgeted at US$100 million and MLS Ltd. president Steve Matier expects its construction will provide “several hundred jobs” with 30-50 full-time jobs to run the facility. MLS Ltd. plans a 10-15-metre-tall control centre and rocket assembly area, a concrete launch pad and a custom rail system to transport and position the rocket for liftoff. 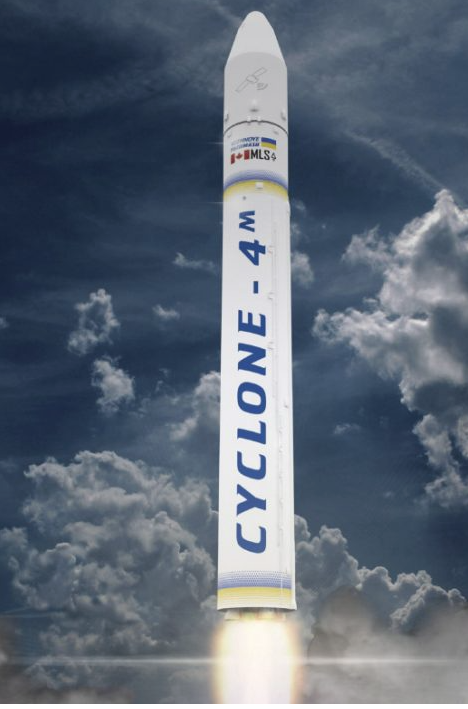 The complex will use Ukrainian technology, the Cyclone 4M orbital launch vehicle. In terms of numbers, the total population in the communities of Hazel Hill and Little Dover on the Canso peninsula of Nova Scotia might be no more than a few hundred, but the communities are no more than four kilometres apart, and sit on either side of the proposed rocket launch site. Little Dover is a prosperous fishing community harvesting from rich lobster grounds. Munroe, who wrote a 270-page book, The Times, Tides & Tears of Little Dover: Story of Survival, said in a telephone interview its lobster grounds have made most of its 25 or so fisherman “worth close to a million.” His book, self-published in 1997, sold about 850 copies but there are several hundred names on a waiting list if it ever goes to a third printing, Munroe said. Hazel Hill has a community school, a war monument honouring those who died in combat, and is the site of the Commercial Cable Company Telegraph Office, one of the few surviving trans-Atlantic cable stations in North America. Hazel Hill station received a distress telegram from the sinking Titanic in 1912. Petronio Noronha de Souza, AEB’s director of space policy and strategic investments, told SpaceNews that over the years the work to build a launch facility for Ukraine’s Cyclone 4 rocket at Brazil’s Alcantara spaceport has suffered multiple stops and starts as one side or the other fell short on its financial obligations to the effort. According to the project description submitted to the Nova Scotia government, the Yuzhnoye C4M rockets are fired by liquid oxygen and refined kerosene as first-stage propellants and more than 20,000 kilograms of self-igniting chemical fuel for the second stage. Half of the chemical fuel is unsymmetrical dimethyl hydrazine (UDMH), which is a carcinogen and potentially explosive if exposed to air. UDMH breaks down in seawater in about two weeks. If UDMH is released on land, it can react with air to create dimethylnitrosamine (DMN), a carcinogen that can contaminate groundwater and is difficult to filter and detect. The Ukrainian rockets have a 98 per cent success rate over 208 launches, the company’s documents said. The two recorded failures happened near the edge of space. The facility is designed to mitigate for possible leaks, Matier said in previously published news reports. Fanning Education Centre/Canso Academy with 166 students serves the little communities that dot the entire area, Primary through Grade 12. Principal Jeff George has said there have been no concerns from parents expressed to him as school principal, Gillis said, adding he is planning to invite a representative from the project to visit the school sometime during the next school year to provide an educational awareness and information presentation to the students. The handsome rose brick and granite building that housed the Commercial Cable’s offices, on the north side of Highway 16 at the Tickle Road intersection, has been boarded up for years now. Recognized under the Heritage Act in 2006, signs posted on the outer walls warn of falling bricks and the shingled roof looks in dire need of repair. It was suggested by local residents that the building would be ideal as a winery. John Kearney, an environmental anthropologist who has studied the effects of a nearby windfarm on migratory birds, said in an interview that he is deeply worried about plans to construct lighted buildings near the six-turbine Sable Wind installation. The rocket launcher intends to use Sable Wind electricity and its access road to get to the launch site. It’s a relatively low risk site now because it is two kilometres from the coast.